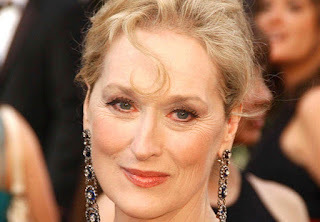 The Raving Queen: It's All Up To MERYL, Darlings!!!!!!!!!!!!!!!!!!!!!!!!!!!!!!!!! It's All Up To MERYL, Darlings!!!!!!!!!!!!!!!!!!!!!!!!!!!!!!!!! No sooner, girls, has "Revenge Wears Prada--The Devil Returns" hit the book stores, then everyone is talking about the movie!!!!!!!!!! My only question is--what movie??????????? Now, I am sure the Misses Blunt and Hathaway, and the Marvelous Mr. Tucci are on board for this!!!!!!!! And wouldn't it be great, if we could, somehow, squeeze Amy Adams in there????? And maybe a cameo by Grace Coddington??????????? However, all of this hinges on the one, the ONLY person who can make this project go, or not!!!!!!!!!! MERYL STREEP!!!!!!!!!!!!!!!!!!!!!!! Will she reprise her role of Miranda Priestley???? I have to wonder. Certainly, no one else should!!!!!!!!!!!! But the Divine MERYL has never appeared, as far as I am aware, in a sequel to any of her movies. Not that her movies ever had the potential for sequels before!!!!! Come on--"Silkwood??????" "Sophie's Choice????????" You have GOT to be kidding!!!!!!!!!!!!!!! I wouldn't dream of speaking for La Streep!!!!!!!!!!!! But I know all you girls expect me to weigh in; some may be waiting, (maybe even Sister Camille!!!!!!!!!) even anxious, to hear what I have to say. So, here it is!!!!!!!!!!!!!! Of course, I would LOVE to see a sequel, with all concerned! And, despite reviews, with THAT cast, I would go and see it, and get all my girls to. But, Miss Streep, darlings, is an Artist!!!!!!!!!!!!!! Not only that, she is an Artiste!!!!!!!!!!!! Not only that, she is our SUPREME ARTISTE!!!!!!!!!!!!!!!!! So, my guess is, she will not do a sequel, and there will be no movie!!!!!!!!!! Someone of MERYL'S caliber likes to move forward, not go back. With Miranda, she has "been there, done that!" What could there be left for her to examine, with this character? What new discoveries could she find??????????? I am sure MERYL is asking these same questions, herself!!!!!!!! I wouldn't presume to advise her, so whatever SHE decides is fine with me! But, don't be disappointed girls, if she says no!!!!!!!!!!!!!!! Of course, if she does not, and there is a movie, you know I will be there!!!!!!!!!!! First in line, and sure to make a full report to all my girls!!!!!!!!!!!!! It would be one of the few times in my life, I would be glad to be WRONG!!!!!!!!!!!!! !